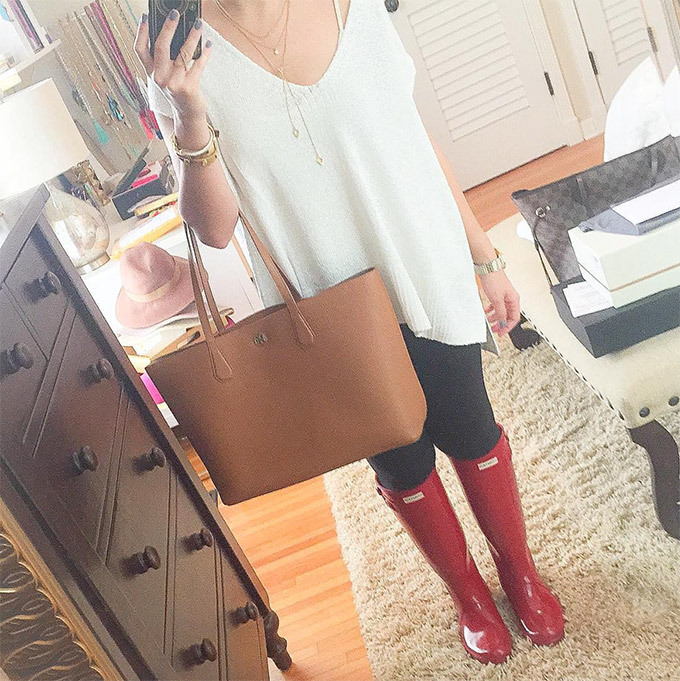 Friday Instagram Roundup + Purchases From #NSale! Rounding up some of my favorite recent Instagram posts and sharing everything I’ve purchased from the #NSale. Tomorrow I’ll be posting selfies of everything I’ve received in the mail so far and how they fit/my recommendations and thoughts! Happy Friday! The Nordstrom Sale is now open to everyone so see my big sale roundup here, my favorites here, and my beauty picks here! 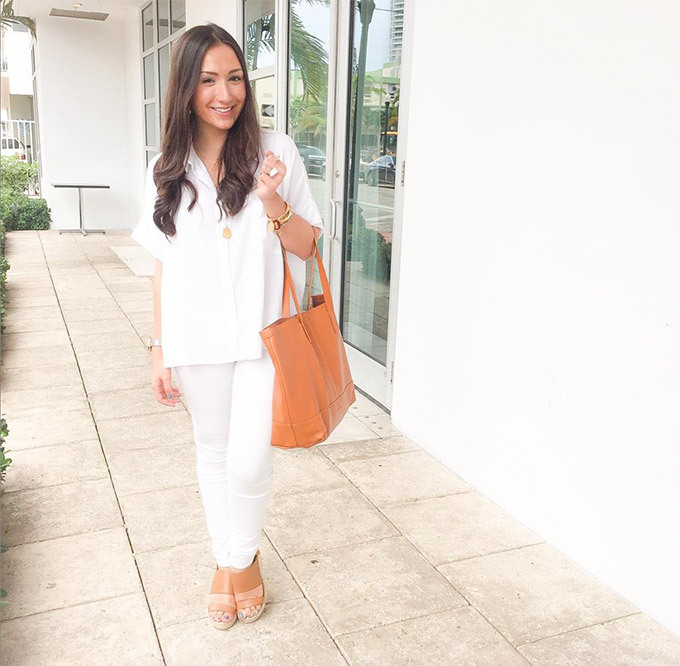 A casual outfit with a white top, rose quartz necklace and cross body that’s on major sale! 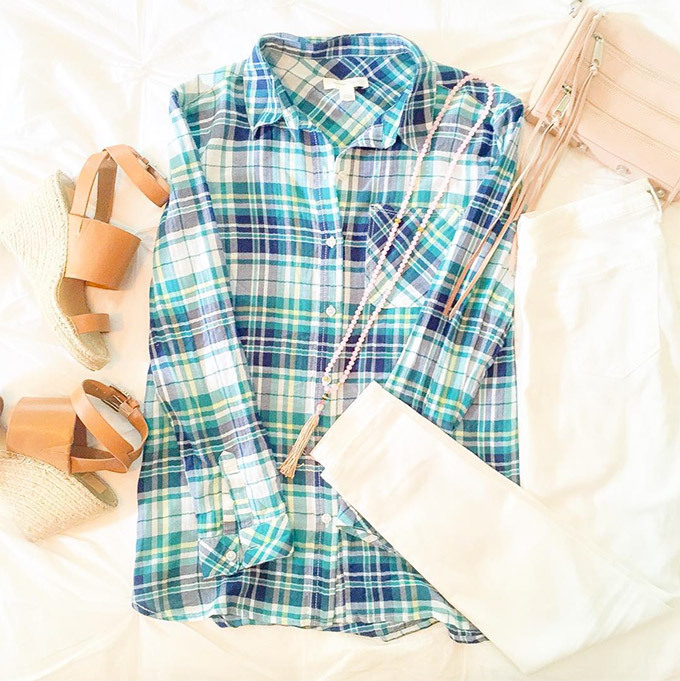 This is the same plaid top from this post except in a different color and it’s also 40% off! I wear a size small in this top. Click to shop each individual item! I also forgot to put into the collage this top that I purchased…I’m obsessed with it and you can see me wearing it above! If you missed last week’s posts… here are a few collages of my favorite things… you can simply click on each image in the collage to shop them! 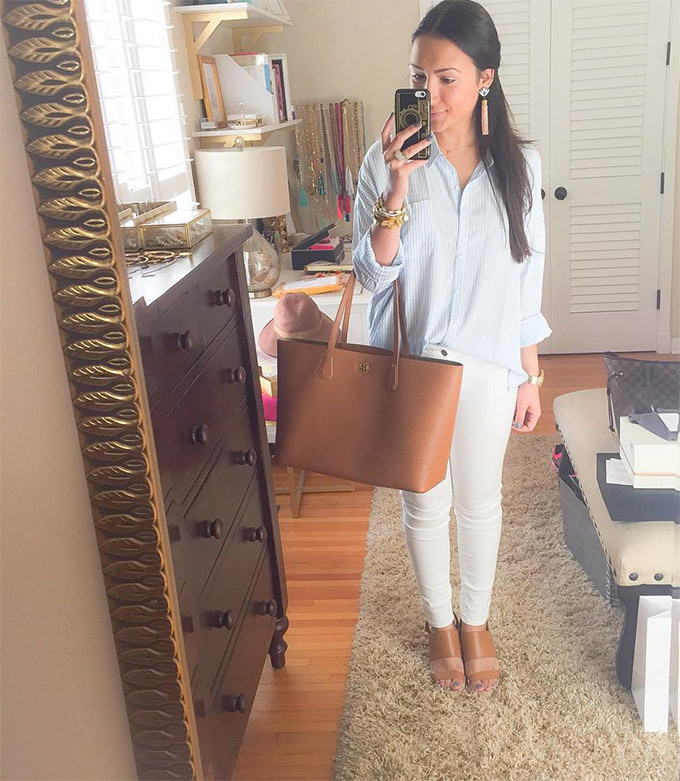 Where did you get the necklace holder/stand that is pictured in the background of a few of your pictures?? I love your instagram! I get so much outfit inspiration from it! I need to stay away from the Nordstrom sale, I’ve already spent enough. Your picks are making that hard however! Have a great weekend! You always look so fabulous and put together. Your Insta feed is on point. I love your Instagram. Your outfits are so gorgeous. Love all your finds from the N-Sale. You have casual chic down to an art! I love how you piece hi-lo fashion together! 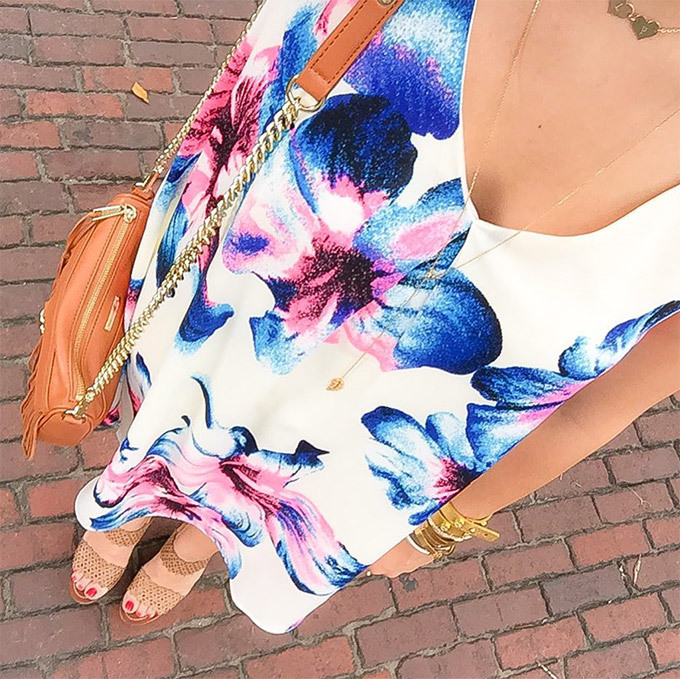 Yes I’ve been eyeing that shift dress! So glad it’s on sale now, phew! Really like that white top too – the one I have right now dwarfs me and it looks like a lab coat. Love the way you effortlessly put pieces together! 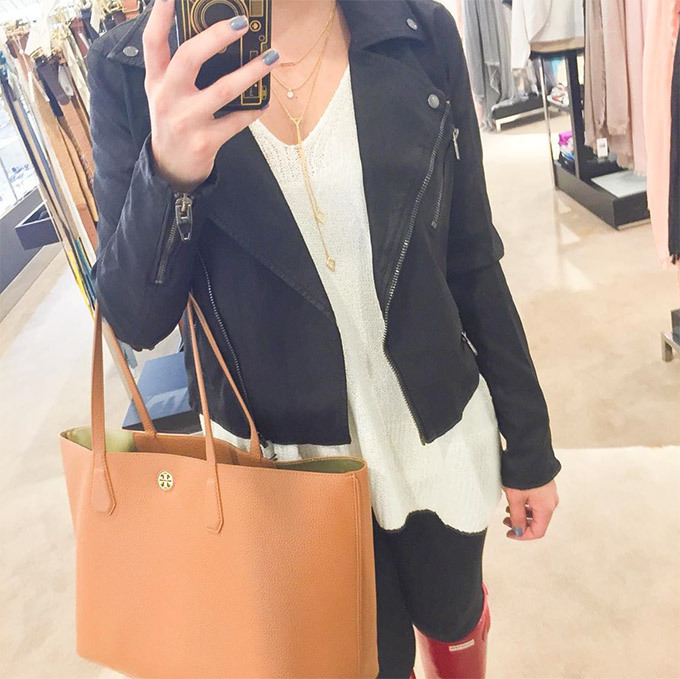 Loving your last two looks and of course all of your Nordstrom picks! Super excited to figure out who won the giveaway!! You made out like a bandit with everything that you bought! 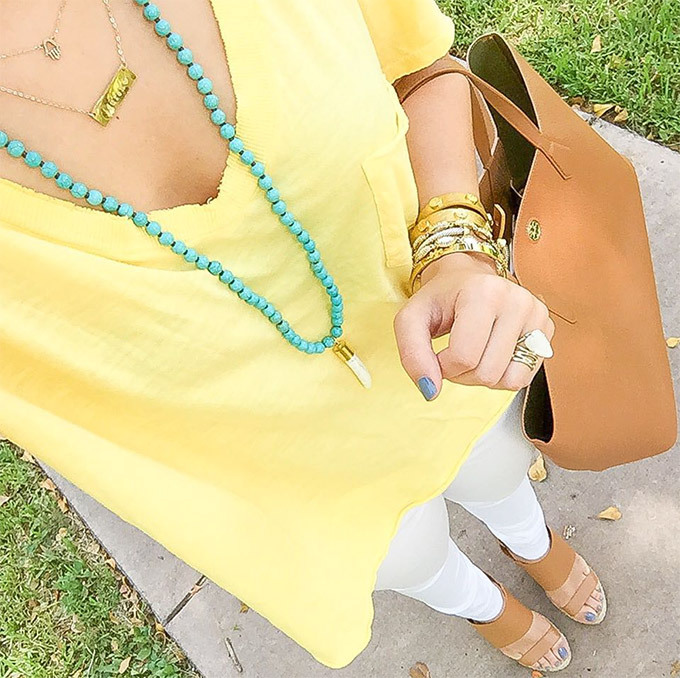 Love that tote! 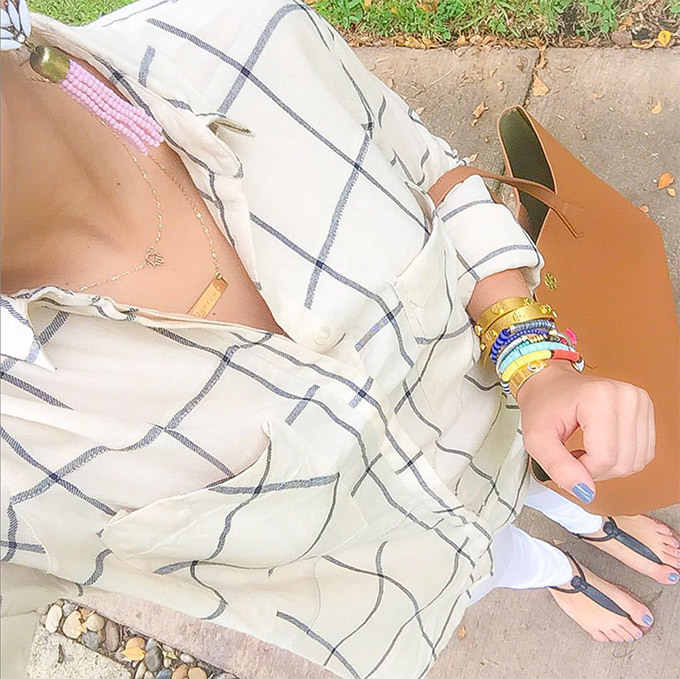 I swear the #nsale is so dangerous – and your insta is always so perfect! You know how much I appreciate when you do these roundups…mostly because it makes me realize how the cute things I missed out on and probably need to go get…! Your looks are so gorgeous, I really love your style!! I wish you could style some of my outfits, I’m always in the same sweater and leggings lol. Gorgeous photos! Ah, I thought I was done shopping the #NSale but some of your recommendations have me rethinking that! Such a great sale! Absolutely love all of these picks!! I’m dying to get a new bag and your options are adorable. Which one is your absolute favorite?? I love all your outfits but especially your black jacket. I’ve been looking for an edgy jacket like that! Need your wardrobe! Loving those shoes you wore in the last two photos — such classics!